Relive the excitement by viewing these highlights from the night. 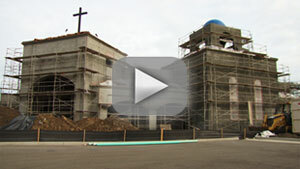 See how others have benefited from your generous support. The Cardinal’s “go-to-person” was Sister Mary Jean Meier, R.S.M., who would oversee the event for over two decades. Sister formed a committee who became the planners, the consultants, and the marketers. The Cardinal’s Awards Committee, then and now, is comprised of dedicated people from each of the five pastoral regions. Just like the Committee, the annual Honorees are chosen from the same five regions. 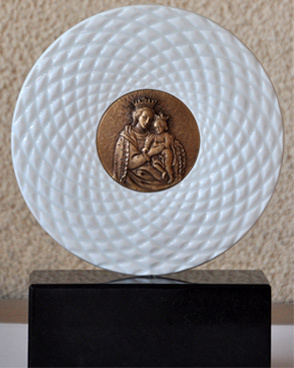 Non-Catholics have been considered and have received the award. In the early years, the black-tie gala was held at the Regent Beverly Wilshire until the dinner out-grew the hotel’s ballroom and headed west to the Beverly Hilton. The owner, a Catholic named Merv Griffin, welcomed the special event for many years, until, once again, more space was needed. After a brief stop at the Century Plaza, the Awards Dinner enjoyed many years at Wolfgang Puck’s elegant Grand Ballroom at Hollywood and Highland. The 25th Anniversary Dinner, earlier this year, was held on the Event Deck at L.A. Live. At its inception, the dinner’s sole focus was to pay tribute to those who had given so graciously to the community. The committee felt strongly that if there were residual funds, those funds needed to be directed to the poor of the five pastoral regions. For over two decades, the dinner has raised over $10,000,000. Most Reverend José H. Gomez is devoted to Our Lady. The Cardinal’s Award was expressly created to reflect that devotion. 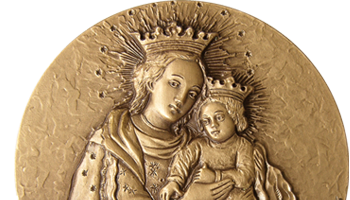 The center of the award is a bronze medallion of the patroness of both California’s and the Archdiocese of Los Angeles, Our Lady of Refuge. The Archbishop’s Coat of Arms is on the reverse side of the medallion. The bronze medallion was designed by Dr. Armando Colombo of Milan, Italy. Dr. Colombo worked closely with Archbishop Gomez to create an elegant depiction with depth and clarity. This significant piece is a treasure for those who are recipients of this honor. of the House of Bernardaud located near Limoges, France, used Sylvain Dubuisson’s masterpiece halo from his contemporary crèche, Haute Sphere. This creation is an exquisite 24-carat gold porcelain home for the medallion, set on an onyx base. It is with gratitude to Tom Blumenthal of Gearys in Beverly Hills, the House of Bernardaud and Dr. Armando Colombo whose creative talent and generosity make it possible to present this award to our deserving recipients.